When a loved one has been arrested, posting bail will allow the defendant to spend their time at home with family while waiting for their court hearing. 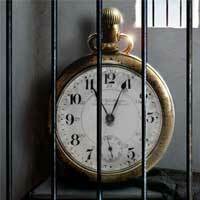 When you don’t have the large sum of money yourself, a bail bonds company can help. 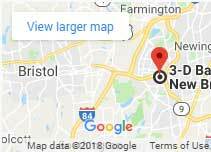 We are located in Hartford, CT and offer bail service 24/7. 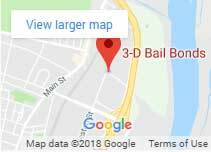 Here at 3-D Bail Bonds, we provide the services necessary to get people out of jail. We often hear many similar questions from our clients, and below, we answer a few to help you understand the CT bail bond process. 1. What Should You Know Before Calling? There is some information the agent will ask for, so have this on hand before you call. Know where the person is, including the city, state, and name of the jail. You will also have to provide the individual’s full name and how much the bail is set for. If the individual has been transferred to a correctional facility already then, he or she will have an inmate number. If you don’t know the bail amount, the agent can find out on your behalf. 2. What Do You Have to Lose? In hiring a bondsman, you will pay a premium for the service. This is a percentage of the bail amount and is regulated by the CT Insurance Department. If the defendant keeps their end of the contract, you will only be responsible for this premium. Remember, the defendant will need to appear to all court dates. If they do not show up for their date in court you may owe the entire bail amount. 3. Can the Defendant Leave the State? If your loved one is planning on leaving the state or the country while on bond, they should inform the bail bonding company. In some cases, the court may require the defendant to not leave the state. If this is the case, then permission from the court is required as well. If permission is not given, the defendant may have a warrant for their arrest if they leave. The most important thing is that they show up for all of their court dates. 4. Can Anyone Get Out of Jail for Free? Anyone who is in jail being held on a bail bond must pay the full bail or a fee to get out. This is a legal requirement from the court or the State. While some bail bonds companies can offer creative payment plans and may take different forms of payment, they all need to comply with state-mandated minimum fees. Be wary of anyone guaranteeing they can get your loved one out of jail for free. No one can get out of jail for free. 5. Can a Bail Bond Company Verify my Warrant? Most of the time yes. Depending on the type of criminal charges, some police departments or state troopers in Connecticut would require that the individual involved get down to the police station to find out the bail amount and charges. In this case, we can send a bail bondsman along with the individual so if he or she is to get a bail bond, we can facilitate the immediate release for them.